unemployment – One Billion Hungry: Can We Feed the World? Half of the world’s population is under 25. 1.8 billion people are between the ages of 10 and 24, the largest youth population the world has ever seen, 85% of which live in developing and emerging economies. In Uganda for example, 50% of the population is under the age of 15. While on the one hand such a large youth population is viewed as a challenge, of employment, of education and of population growth, this group also has significant potential to innovate and change the world for the better. 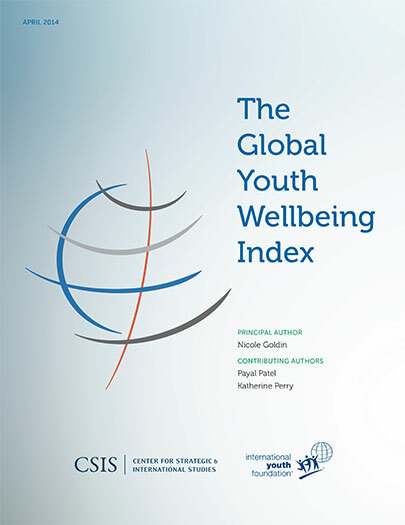 The first ever Youth Wellbeing Index, developed by the Center for Strategic and International Studies (CSIS) and the International Youth Foundation (IYF), compares how youths are faring across six key areas: citizen participation, economic opportunity, education, health, ICT and safety and security. For each area, indicators around the enabling environment in which youth live and participate, youth outcomes, and youths’ outlook and satisfaction with their own wellbeing are combined. The overall score is a combination of the six individual scores. Thirty countries representing around 70% of this youth group (generally aged 12-25 years) were ranked from high wellbeing to low. The report finds the majority of the world’s youth living in countries at or near the bottom of the wellbeing ranking. In some countries such as Indonesia, youth are optimistic about their future in spite of the developmental challenges the country faces while in some developed countries such as Russia, youth can have more negative outlooks. Overall youth in rich countries tend to have higher levels of wellbeing than those in poorer nations. But money is not the key to everything. Spain has relatively high levels of wellbeing, ranking eighth, but faces high and increasing levels of youth unemployment. In the US, youth health is a significant problem. This shows that countries ranking high overall may score low in specific areas and vice versa. Across all countries youth are strongest in health and weakest in economic opportunity. Jose Graziano Da Silva, Director General of the UN Food and Agriculture Organisation, at the FAO’s Regional Conference for Africa, discussed the role of youth in African farming, highlighting their potential to innovate in the sector. Making agriculture more appealing and economically beneficial to younger generations is a significant challenge. Africa is the world’s youngest region, where more than half of the population are under 25 years of age. Agriculture in many African countries is a significant and fast growing economic sector but this growth has not resulted in widespread employment and attractive incomes for young people. Salaries are generally low, risks are high and there is often little help from governments should farming businesses struggle. The FAO is calling for “greater public and private investment in agribusiness, agro-industry and market-related services to attract and keep young workers, fuel job creation, and spur new development in the agricultural sector”. The Global Youth Wellbeing Index emphasises that now is the time to invest in programmes and policies that engage youth and equip them to be productive. The key message is that if this generation of youth thrives so do we all.